Yesterday the Environment Secretary Michael Gove visited the iconic Hadrian’s Wall in Northumberland National Park to kick-start National Parks Week, highlighting his commitment to ensure our cherished landscapes are not only conserved, but enhanced for the next generation. His visit was covered by BBC Look North, where he discussed our recently-launched National Parks review and the opportunities Brexit brings for the region’s farmers and food producers – with Northumberland home to the highest concentration of agricultural businesses of all English National Parks. The Environment Secretary also attended a roundtable discussion with Hexham MP Guy Opperman at Northumberland’s Sill Landscape Discovery Centre where he met local stakeholders to discuss issues such as the Designated Landscapes Review and post-Brexit agriculture. 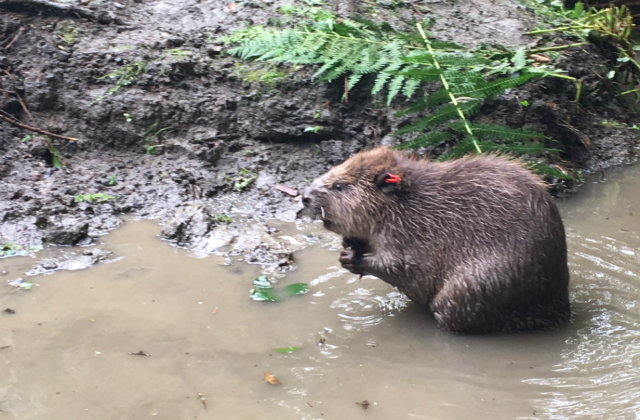 A pair of Eurasian Beavers have returned to the Forest of Dean today (24 July) for the first time for around 400 years. It is expected that the beaver’s activity in the Forest of Dean will improve biodiversity in their new 6.5 hectare home and may have the potential to reduce local flood risk. Regular monitoring will continue on site throughout the three-year project to assess these ecosystem benefits. The release was attended by Environment Secretary, Michael Gove, just as he announced £20,000 of new funding for the Devon trial reintroduction of beavers to understand further the impact of bringing back one of England’s native species. The beaver has a special place in English heritage and the Forest of Dean. This release is a fantastic opportunity to develop our understanding of the potential impacts of reintroductions and help this iconic species, 400 years after it was driven to extinction. The community of Lydbrook has shown tremendous support for this scheme and the beavers will be a welcome addition to local wildlife. The project is an example of our wider approach to enhancing biodiversity. It is another step towards our aim of leaving the environment in a better state for future generations. Today’s release of Beavers is a momentous occasion for the Forest of Dean. We are looking forward to seeing the ecological and hydrological benefits the beavers will bring to the Greathough Brook. I am proud to have led the Forestry Commission team, and support their commitment to connect people with nature here in the Forest of Dean. Read the full press release and find out more on GOV.UK. Yesterday Sir James Bevan, Chief Executive of the Environment Agency (EA), chaired a meeting of the National Drought Group, which brings together over 30 organisations involved in responding to dry weather and drought. The announcement about the EA’s response to dry weather was covered within articles in the Guardian and The Times. The Times story quoted Sir James Bevan and noted that the agency has responded to 44 significant environmental incidents since the end of June, including moorland fires, algal blooms, dry boreholes, low river flows and fish rescues; and has stepped up its incident-response planning and is preparing for drought in the North West of England, where a lack of rainfall has depleted reservoir levels. The Guardian reported that the Environment Agency has said water supplies in the rest of England should be sufficient, if resources are managed properly, however the drop in river levels posed a threat to wildlife. The water that comes from the tap is taken from our rivers and reservoirs and the amount we use has a direct effect on people and the environment around us. As we prepare for drought in the North West and dry weather continues around the country, we have stepped up our response to minimise wastage and tackle the impacts of low river flows on wildlife. We all have a part to play to protect this precious resource. I expect water companies to step up their efforts to ensure supplies are well-managed and people at home should use water wisely. 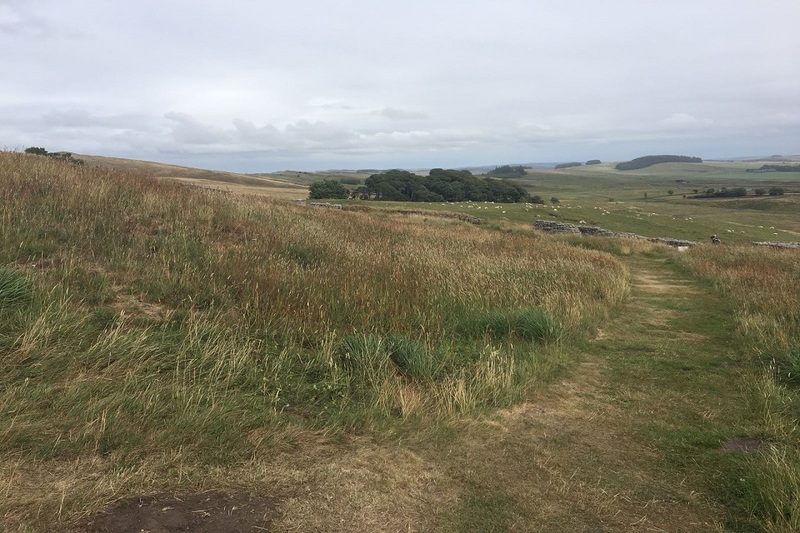 A full statement from Sir James Bevan about the topics covered during the National Drought Group meeting has been published here. The MailOnline story on the hot weather says the EA responded to 44 ‘significant’ environmental incidents since the end of June, including moorland fires, algal blooms, dry boreholes, low river flows and fish rescues. 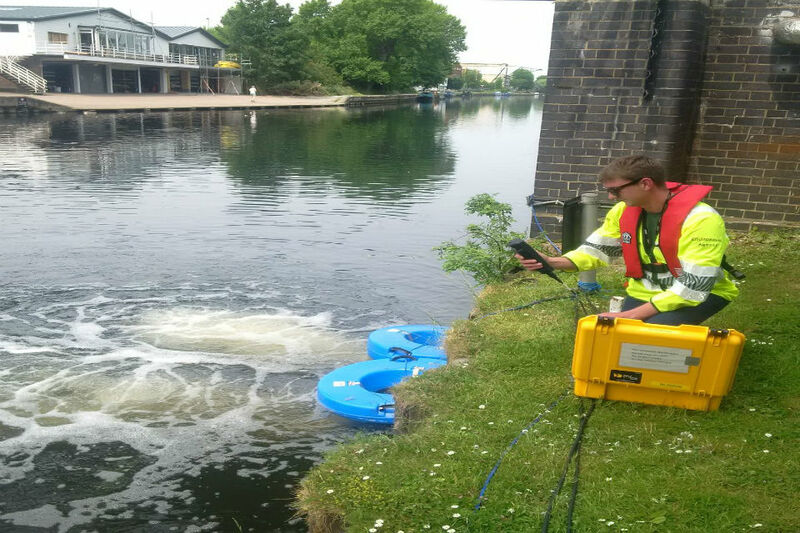 The Environment Agency’s Dave Throup was interviewed on BBC 5 live about the EA’s incident response and fish rescues. The Yorkshire Post carries an article in which Leeds West MP Rachel Reeves suggested the Environment Agency have let Leeds by providing an inadequate amount of funding for a proposed flood defence scheme. The agency wrote to Leeds City Council last week recommending that from their own list of options Leeds should go with the scheme that offers the best value of money to the taxpayer, in order to better protect homes and businesses. Environment minister Thérèse Coffey will be writing a response to the article shortly. Our commitment to provide flood protection to Leeds remains unchanged. We have spent £33million already and have a further £65million committed. The council have proposed further work and the Environment Agency are in discussions with them to ensure any additional expenditure represents value for money. Defra’s flood defence programme is protecting more and more homes across the country - £2.6 billion is being invested between 2015 to 2021 to fund 1,500 flood defence schemes which will better protect 300,000 homes across the country. There has been coverage today in The Guardian of the Environment Audit Committee’s (EAC) new report on the 25 Year Environment Plan, urging that a new independent watchdog is introduced to hold the government to account on environmental standards post-Brexit. We have always been very clear that we will not weaken environmental protections when we leave the EU and we have long committed to introducing a new body to hold the government to account and help us deliver a Green Brexit. Our intention to introduce this body was announced last November, and we have since launched a consultation on this in May. But we are going further, and the Prime Minister recently announced that we are bringing forward the first Environment Bill in over 20 years to achieve the vision in our 25 Year Environment Plan and deliver on our pledge to leave the environment in a better state for the next generation. Details of this Bill’s contents will be brought forward in due course. Our 25 Year Environment Plan sets out in detail how we will improve our environment for the next generation, and we have already taken significant steps to deliver this pledge. We are bringing forward the first Environment Bill in over 20 years, and are now consulting on a new world-leading body to hold government to account on environmental standards. 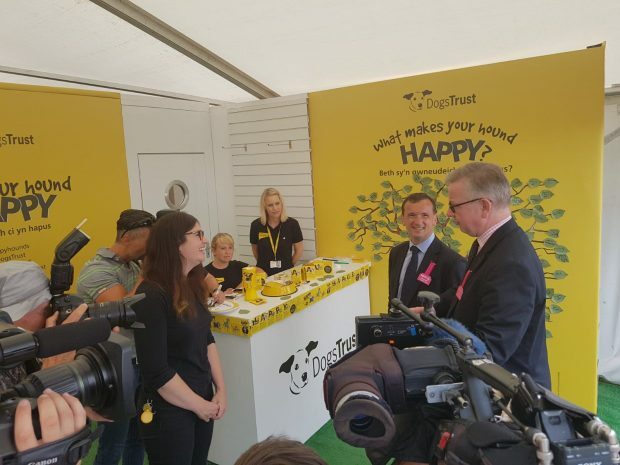 Today (24 July) the Environment Secretary Michael Gove attended the Royal Welsh Show, alongside the Secretary of State for Wales Alun Cairns, where he experienced the very best of Welsh food, farming and rural life. While at the show, he met with Welsh Government’s Cabinet Secretary for Rural Affairs Lesley Griffiths AM, as well as representatives from farming groups, such as Farmers Union Wales and NFU Cymru, to discuss future farming policy once we leave the EU. Snowdonia Cheese – creators of a luxury range of cheeses from around the lakes and mountains of North Wales. Apple County Cider – award-winning ciders from orchards on the Monmouthshire hills. Lochmeyler Farm Ice Cream – a family dairy farm making ice cream from its 350 free-range cows. It is a pleasure to be here in this beautiful part of Wales for one of the biggest and best agricultural events of the year. As we leave the EU we have a once in a lifetime opportunity to transform our food, farming and environmental policies. We expect to see more powers than ever before being granted to the Welsh government, and we are continuing to work closely to deliver a Brexit that will benefit Welsh farmers and consumers.